The early birds catch the … Bears! This morning meant a really very early start in the morning. Around 6, we left the hotel to get a cup of coffee to start the day well. At 06:15 we checked in at Tim Horton’s to get our caffeine inside the bodies. All was needed to start the day around dusk on highway 1a which takes you from Banff to Lake Louise. This highway is the old highway, from before the current highway 1 which is completely fenced in while it travels through Banff National Park. The old one is mainly a two-lane undivided road (one each way). This road comes highly recommended for wildlife sightings, as it is one of few traversable roads in the park, and all animals are free to cross it or courage around it. And that us just what they do. 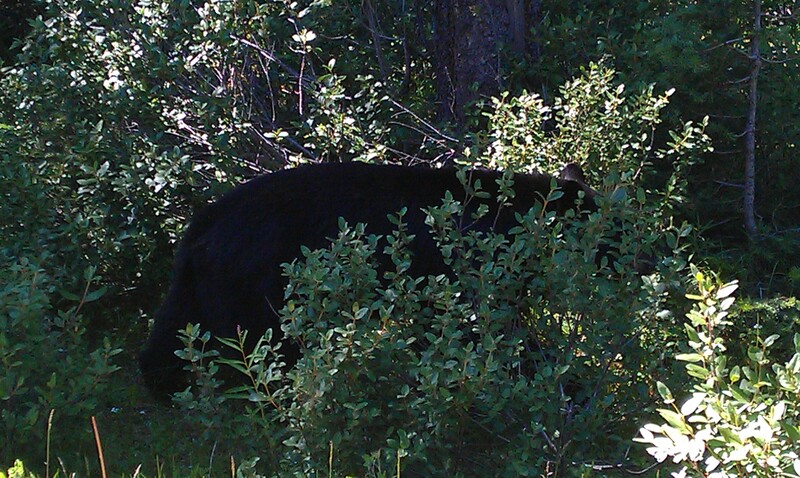 This morning, we have spotted a total of 5 black bears (amongst which a mother with her cub) and 5 wapiti. The latter are also known as elk. Also, during this 60 km drive, we’ve spotted loads of chipmunks, quite a few golden mantled ground squirrels and even some pika! We are pretty fond of those numbers, and felt the awfully early start of the day was well worth it! 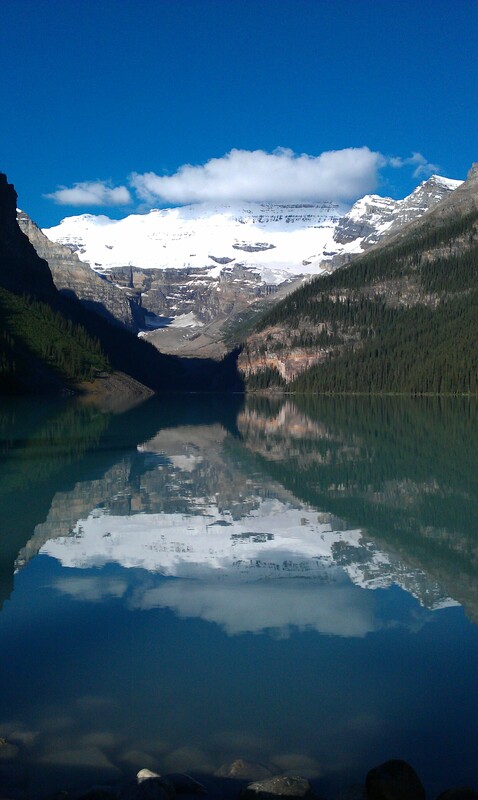 Besides all animal spotting and paperazzi work, we also visited some amazing sites in Banff National Park. 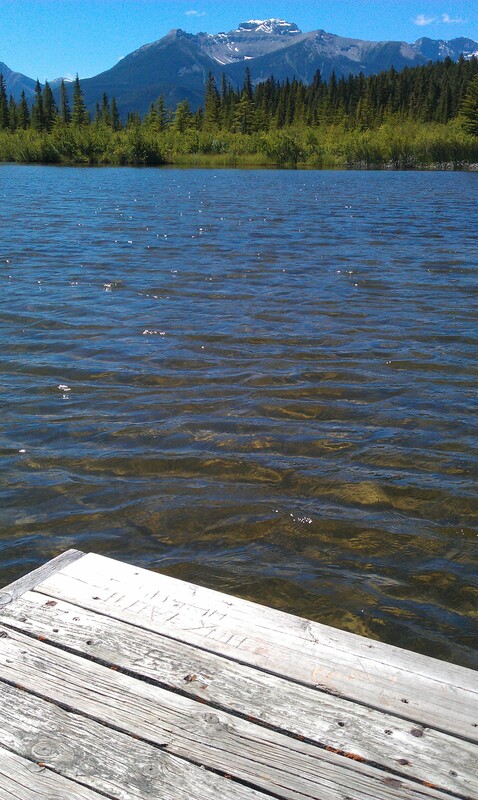 Among which are: Lake Louise, Moraine Lake, Vermillion Lakes and the Hoodoos. 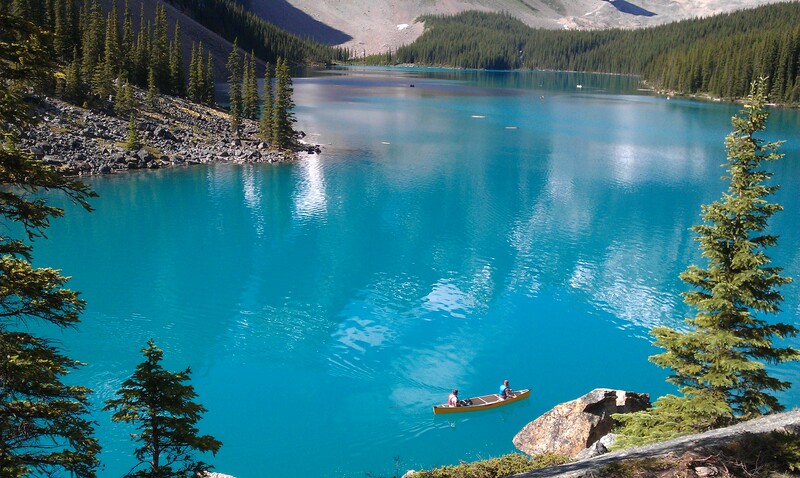 Especially Lake Louise and Moraine Lake are worth visiting as these contain probably the blueest water you’ve ever seen! 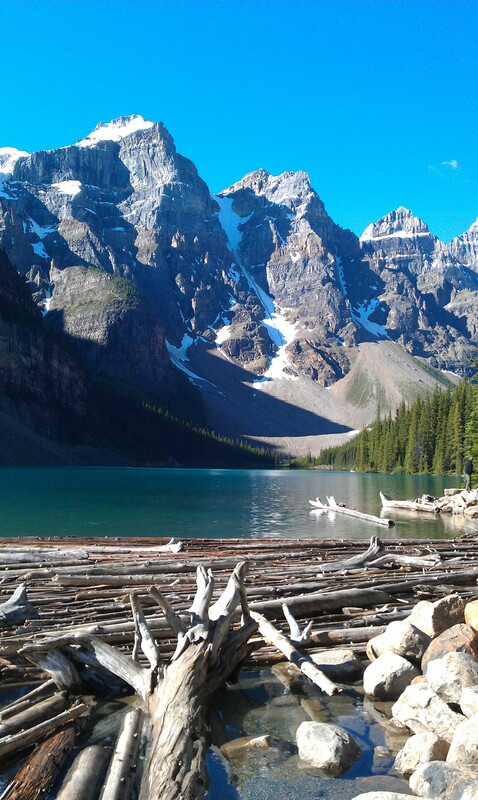 We actually spent quite a while at Moraine Lake, as its scenery and wildlife are truly mindboggling. Unfortunately for us, it sits in prime bear territory, which meant we couldn’t walk one of the desired trails as it was neatly mandatory to travel in groups of at least four people and to carry bear-repellant. We know that stuff as mace or pepperspray. We came prepared, but not to that degree! All in all, it has been a fantastic day, with awesome animal encounters and prime locations inside Canada’s finest National Park. Tomorrow will probably more of the same, and I’m still hoping to encounter my personal favorites: wolves and a hoary marmot. Author MaartenPosted on July 31, 2011 August 1, 2011 Categories Holiday 2011Tags Banff, Banff National Park, bear, Lake Louise, Moraine Lake, pika, wapiti7 Comments on The early birds catch the … Bears!